When Too Faced announced they were coming out with additional products for the Sweet Peach line... I was like, SIGN ME UP! 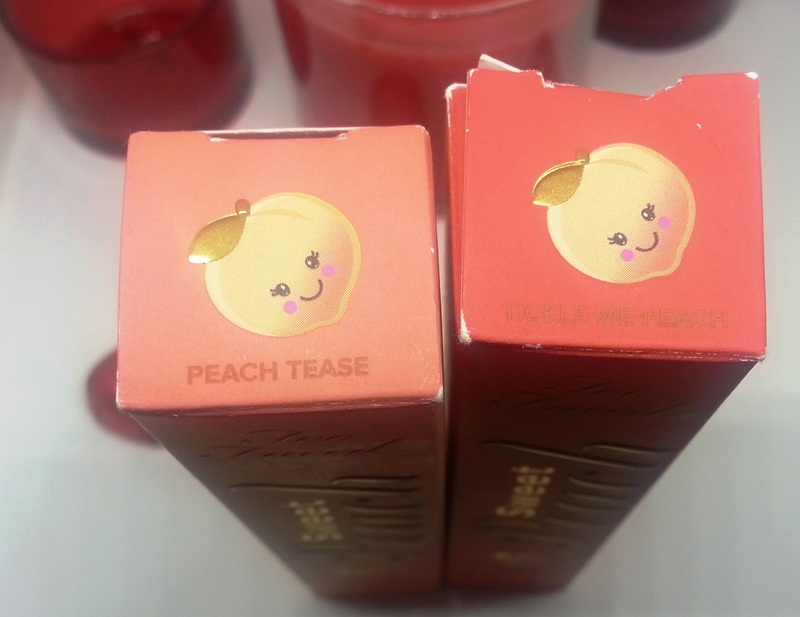 I knew I needed more peach smelling products in my life. 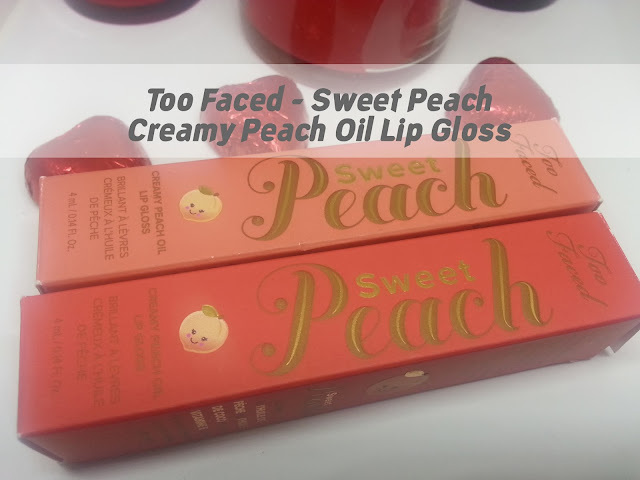 They announced they would be re-releasing the Sweet Peach Palette, a Highlighting Palette, a single blush, and of course, these creamy peach oil lip glosses. Now every product is beautiful, and I wanted all of it, but I had to try and be conservative. I decided to purchase two oil lip glosses because I figured I would use them the most. There are a total of 8 different shades of lip gloss. The two colours I chose are Peach Tease and Tickle-Me-Peach. They all have names with the word peach included. 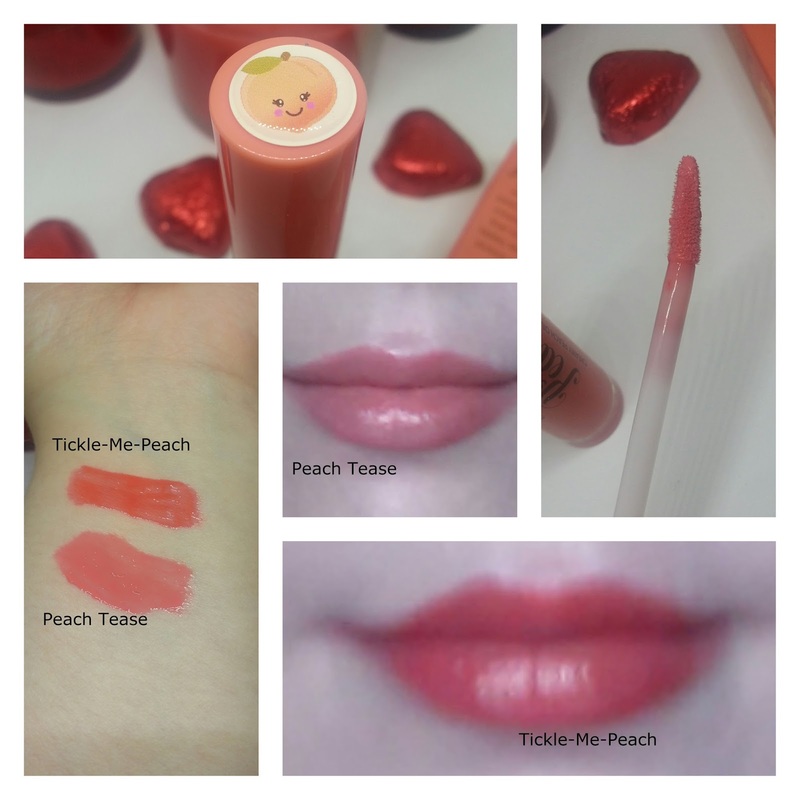 The darker shade, Tickle-Me-Peach is described as a watermelon shade, and Peach Tease is described as electric peach. I find they are both comfortable to wear. They are smooth, and creamy, and don't have too much of an oily feel like the name may suggest. They taste and smell just like peaches! 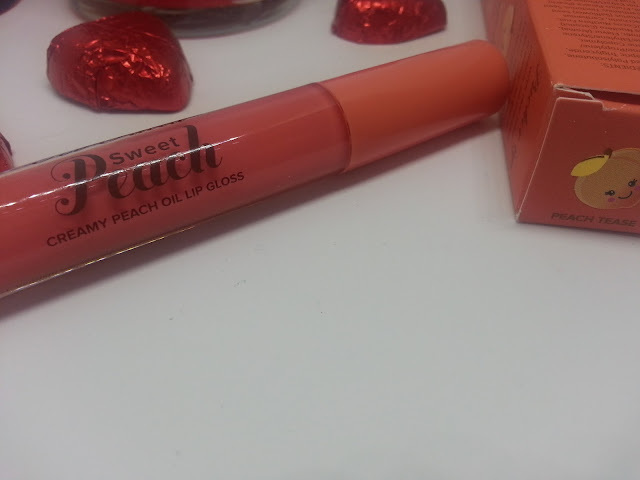 Between the two shades, I prefer Peach Tease as it's a little closer to my natural lip colour. I feel like Tickle-Me-Peach is a little more bold/orange than I would prefer, but of course it could be toned down by not applying as much. The top of the tube has a little peach on it, they're so cute! And they have your standard doe-foot applicator, which means they are easy to apply. I wouldn't recommend applying without a mirror though, just because the consistency with the oil, means it slides around easily. But over all, it is comfortable to wear, and they really do hydrate your lips. Overall, I think if you're a collector of the Too Faced Sweet Peach line, then you only really need one in your stash. They are kind of pricey at $24 Canadian, and I don't find they wear long enough to justify the price. 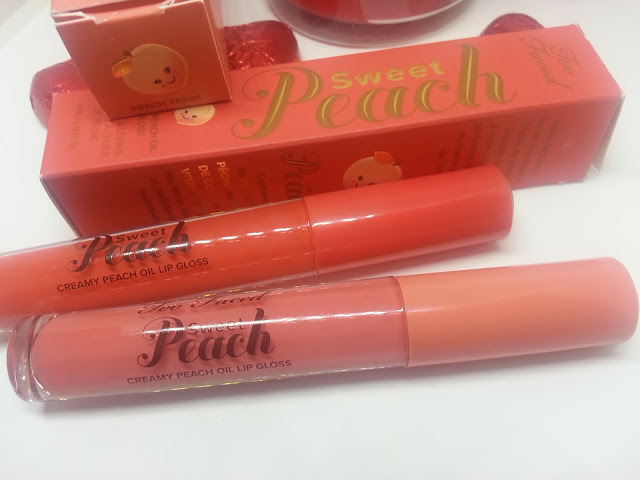 But they are super cute, smell great, and are a nice addition to your Sweet Peach collection!